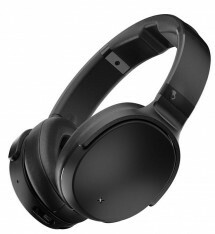 SkullCandy Venue features a strong, lightweight folding design and is crafted with premium materials. The cushioned adjustable headband lets you dial in the perfect fit, while soft memory foam ear cushions mold to your ears. It has 24 Hours of Battery Life with Rapid Charge even with ANC, comes with Find Your Headphones feature, Monitor Mode as well as Activate Assistant with the quick touch of a button.